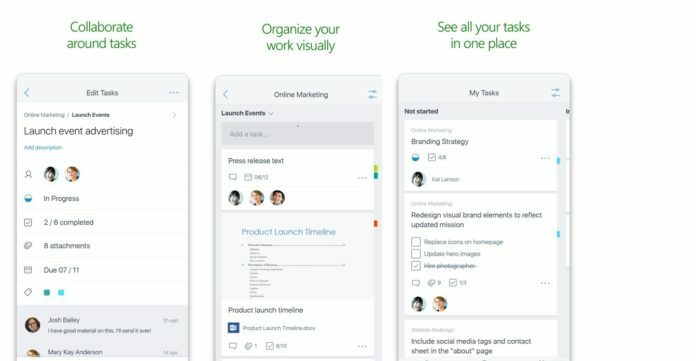 Earlier we have reported that Microsoft has launched its Planner app on iPhone devices, today the Planner app is available for users on Android devices also. The Android app is also a full featured app which lets users track all the tasks in a clean User Interface. The app also has a column based design that lets you scroll through all different boards, interact with any of the tasks in boards etc. Users are also allowed to change the due dates, upload attachments, change status of the task and more. Users also have the option to drag and drop tasks from one board to another making it a very handy option for Android users. Now that the app has been made available for both iOS and Android we expect the app to be available to Windows users very soon. Users would need to have an Office 365 subscription to download the app from the below Google Play store link.